It may take a few years for blockchain’s impact to be felt meaningfully, but it will provide some advancements in certain areas even as cryptocurrencies falter, according to JPMorgan Chase & Co.
Trade-finance blockchain solutions are more common than some others because of high potential gains in efficiency from digitalization, according to a Jan. 24 report from JPMorgan analysts and strategists led by Chang. While cryptocurrencies have attracted the most attention, it’s the underlying technology used for verifying and recording transactions that matters, she said. In the interview, Chang cited the Interbank Information Network, which was developed by JPMorgan and powered by Quorum, which is based on the Ethereum blockchain. IIN, which now has 157 banks in its network from all parts of the globe, is intended to address some of the challenges of interbank information-sharing and to help payments reach beneficiaries sooner. 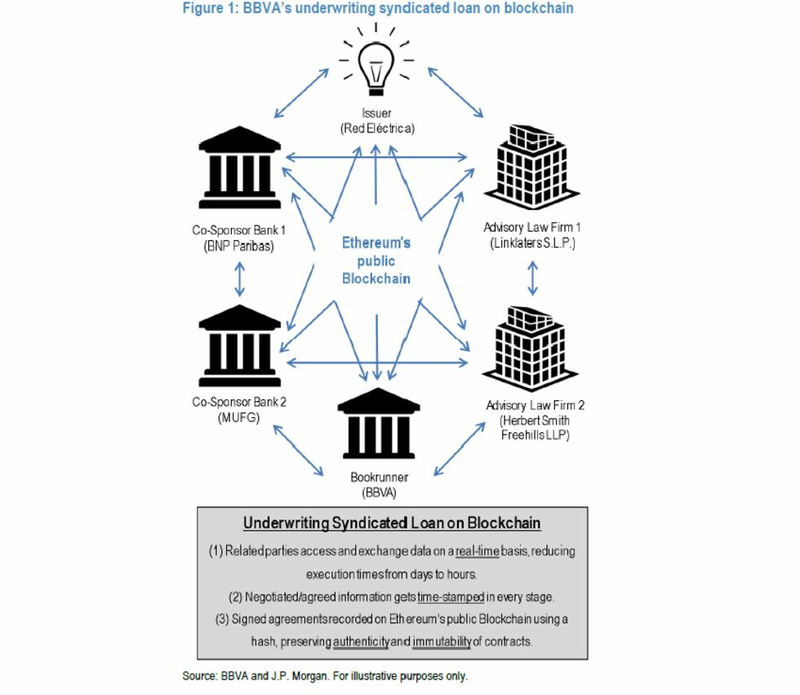 Blockchain use by Spanish banks is also notable, Chang said. Banco Santander “has been a pioneer in implementing blockchain technology in the traditional banking industry,” according to the report, while BBVA “became the first bank in the world to leverage blockchain technology throughout the entire process of issuing a EUR75 million ($86 million) corporate loan,” according to the report. Blockchain still has issues to overcome, though. “Its four real challenges are scalability, integration, cost-efficiency and regulation,” Chang said of the public online ledgers.